Two teams competing in the MLG League of Legends tournament in North Carolina over the weekend have been stripped of their first and second place finishes and their prize money, after the MLG officials decided that "there was collusion between the two final teams." The two teams, Curse NA and Team Dignitas, are alleged to have played the first round of their match in an ARAM (all random, all middle) style, seemingly leaving their odds of success largely up to chance. 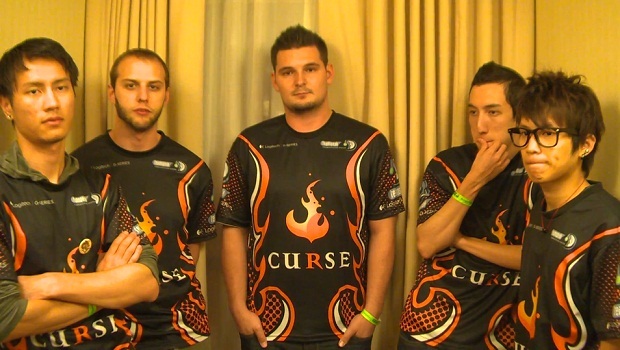 Both teams have accepted MLG's decision, with the Curse team posting a video response offering their apologies. Fans have seemingly mixed feelings on the ruling, some claiming that the style of play used by both teams doesn't necessarily violate MLG's rule for the tournament. Nonetheless, this is the type of thing MLG will want to stamp out, especially with the press coverage of the e-sports scene increasing.